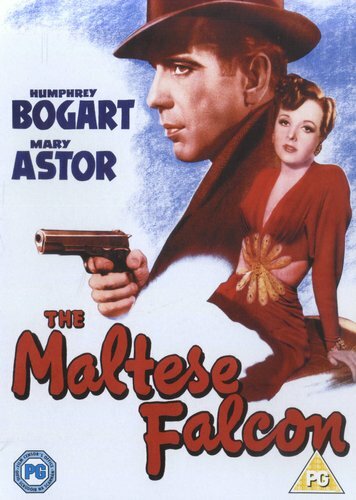 John Huston made his directorial debut with this classic film noir adaptation of Dashiel Hammett's novel, starring Humphrey Bogart and Mary Astor. Sam Spade (Bogart) is a cynical private eye caught up in the hunt for a jewel-encrusted falcon while searching for the murderer of his partner, Miles Archer (Jerome Cowan). 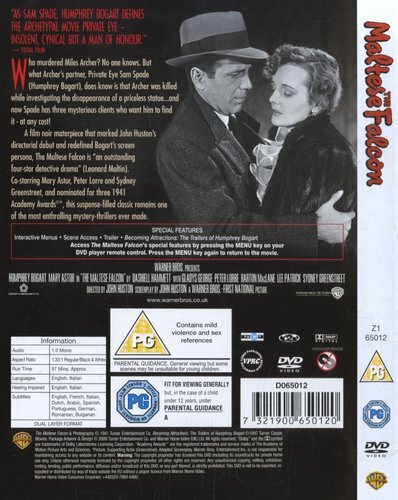 His fellow treasure hunters include a sinister 'little and large' act (Peter Lorre and Sydney Greenstreet), a psychotic tearaway (Elisha Cook Jr), and the duplicitous femme fatale, Brigid O'Shaughnessy (Astor).